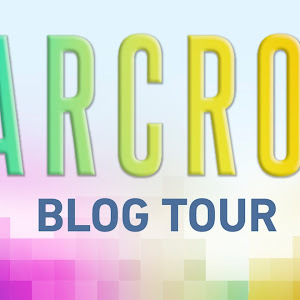 Thanks to the lovely folks at Simon Teen for partnering with me for a giveaway! Book in question Emergency Contact, y'all. I'd been looking forward to reading this one ever since I'd seen my friend DJ talk about it. 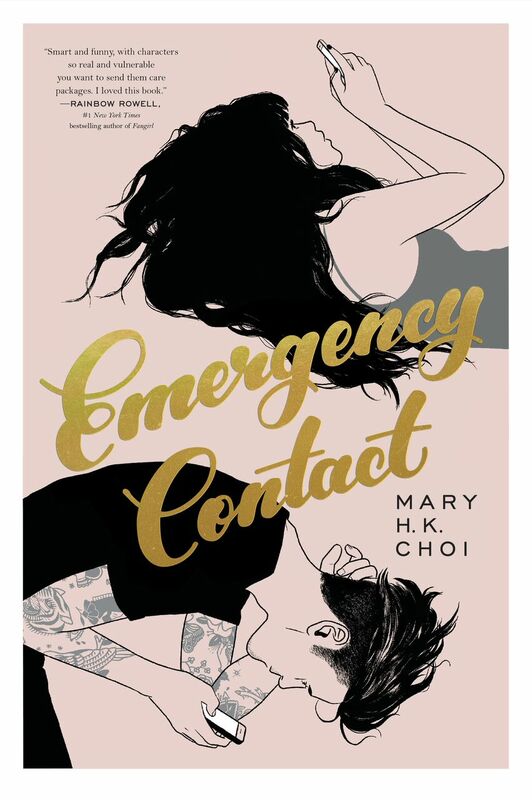 It's another novel with an Asian (specifically Korean-American) main character, and you all know that I am so here for that. It's also set in college. And Penny wants to be a writer. And the two main characters develop their relationship slowly but surely through text messages where they get real personal. It's clearly right up my alley, based on premise alone. And thankfully, having now read it, I can tell you that I actually liked it! But I digress, as my review will be up on a different day. 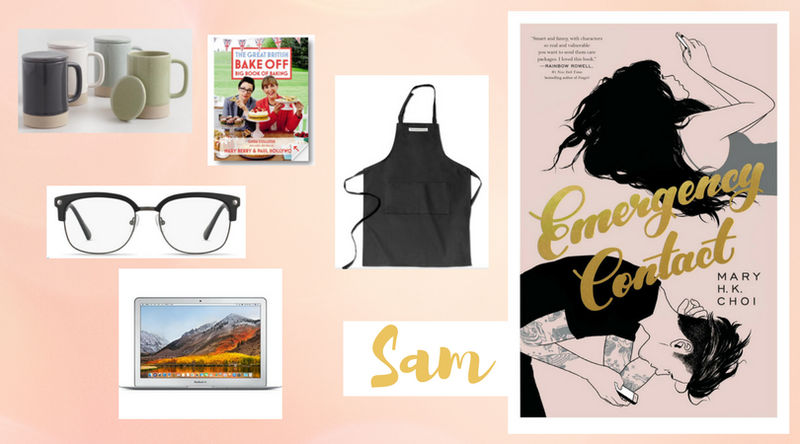 Today, I've got the pleasure of sharing the gift guide I put together inspired by the two main characters: Penny and Sam. 1. iPhone 7 | Penny's main goal in the very first chapter is to acquire a new phone. Slight spoiler, but she obviously gets one. She's pleased by this technological upgrade, and specifically references the pleasure she feels at having a brand new rose gold iPhone. 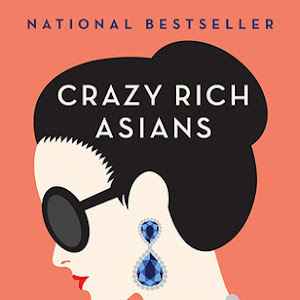 2. iPhone case | I had to resist every urge to pick a different case (specifically, this one that matches the colors and context of this novel) in order to pick one that's a little closer to the actual case that Penny picks out in the book. The black + the word "whatever"? Totally Penny. 3. 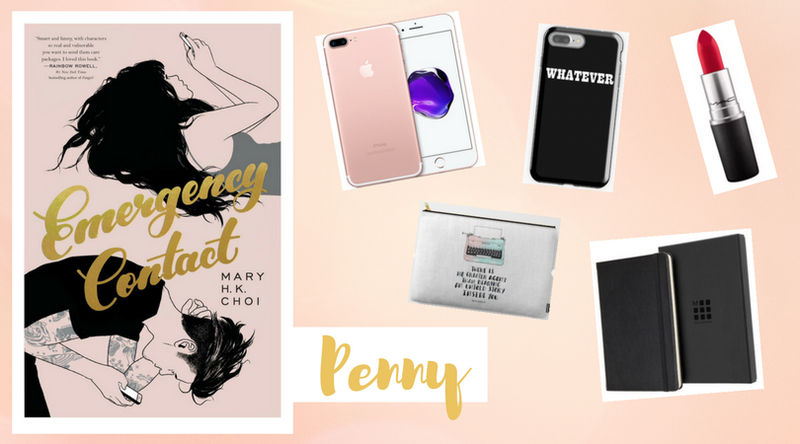 Carry-all pouch | One thing that I share in common with Penny is the fact that we like to use a variety of pouches to section out the stuff in our bags. She'd like this pouch as a present because it's a cute reminder to keep pursuing her goal of being a writer and it's functional. 4. Mac Retro Matte Lipstick in Ruby Woo | Penny and her mom don't necessarily see eye to eye on many things, but one thing her mom likes doing is slipping Penny gifts - and a brand new red lipstick is one Penny receives when she leaves to move into her dorm. I couldn't find the exact red mentioned in the novel, but I figure that this would be a pretty sweet substitute. 5. Moleskine notebook | All aspiring writers need some place to jot down their random ideas and brainstorms. While modern day technology has made it possible to do that on a phone, it's always good to stash a notebook away just in case technology fails or you prefer to go old school. 1. Mugs | Sam is employed at a coffee shop called House, and he's mastered the art of making all kinds of coffee. Since he also enjoys a cuppa himself, it would make sense to gift him with a mug of his own... and perhaps a couple more to keep around in case he has guests. 2. Apron | Apart from being a whiz at making coffee, Sam also loves to bake. It'd make sense to get him something to match the clothing he normally wears (hence, black) that he could slip on whenever he was baking up a storm in the mornings before the shop opens. 3. Baking cookbook | There are plenty of excellent choices for baking cookbooks on the market, and I'm sure Sam would appreciate getting any of them. I ended up going with this one because I have a soft spot for the show that inspired it (which Sam would likely enjoy too, if he ever had a spare moment to watch it, I think). 4. Glasses | There's a moment where Penny spots Sam wearing glasses, and it strikes her as endearing (and makes him a little bashful). I think these frames would suit him (based on my own mental image of his appearance), and again, the black is the perfect color choice for him. 5. Macbook Air | Sam is an aspiring filmmaker, who specifically wants to focus on creating documentaries. While he's had his fair share of ups and downs in pursuit of his passion, having this laptop would give him the technology to attend classes and work on his films. My goal with this gift guide is, as always, to get you intrigued by the hints you're getting of these main character's personalities. Intrigued enough, that is, to find out more about them by picking up a copy of the novel in question to read! To further satisfy your curiosity about this story and since you'll have to wait under a week (it's out next Tuesday!) 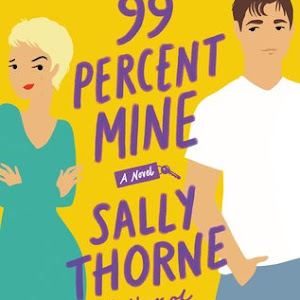 to snag your own copy, check out a little bit more about this novel and the author below. 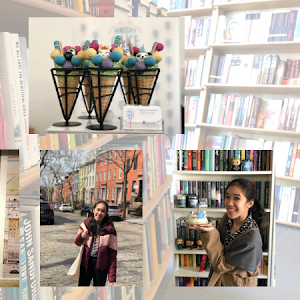 Thanks to the team at Simon Teen, you have the opportunity to win a "Stay in Touch" prize pack! 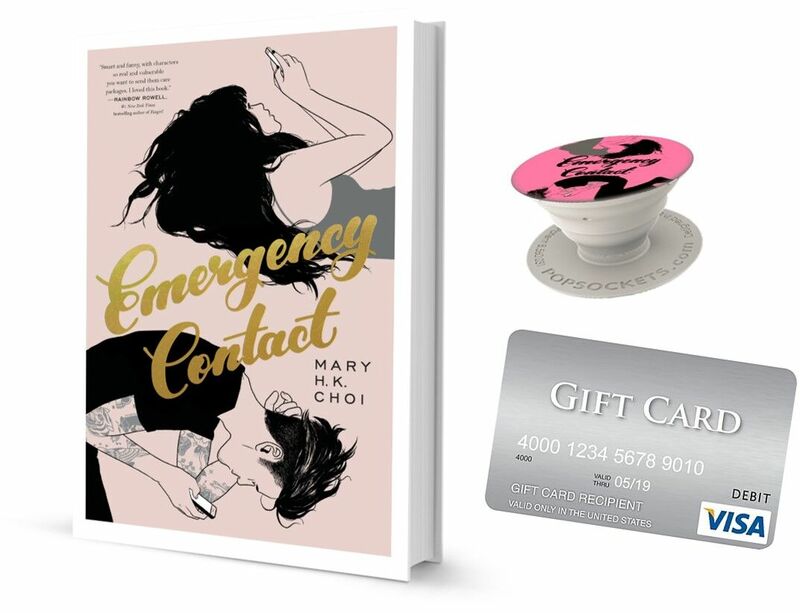 This includes a finished copy of Emergency Contact, a branded pop socket and a $50 Visa gift card to use for meet-ups with your own 'emergency contact'. This giveaway is US only, and you can enter via the Rafflecopter form below. Prizing and samples provided by Simon Teen. Not a book character, but TV fictional, Dean Winchester would be my emergency contact. 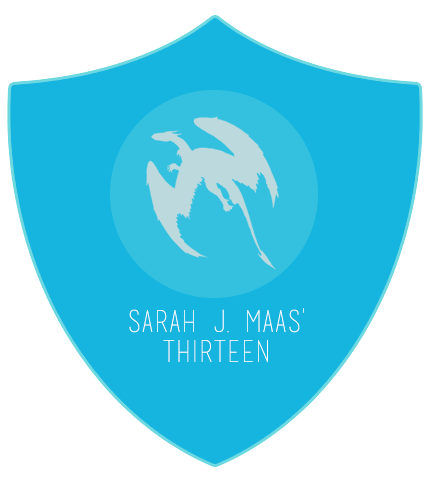 The book character who would be my emergency contact would be Hanna from Gemina--she is smart, loyal, and strong (physically and emotionally). What a fun question for your giveaway! I think I would choose Hermione as my emergency contact because she's smart and responsible and could get me out of a bind using magic! Harry Dresden from The Dresden Files by Jim Butcher. I think I would pick Mercy from the Mercy Thompson Series by Patricia Briggs as one. Definitely Jack Reacher...I mean he saves everyone all the time! Kaz from Six of Crows or Hermione. They both seem very reliable to their friends. And one last thing; Don't call the FTC because they may be willing to push for laws to limit fees on retail gift cards but they have not been willing to touch us, the bank issued gift cards. Why? Because our lobbyists are doing an excellent job.